If you are building a new home or are looking to replace your home’s existing windows, you may have noticed that there are a wide variety of windows to choose from, including double hung and single hung windows. Either can have a dramatic impact on your home’s curb appeal and interior design. So, how else do they differ? Here’s a quick breakdown of double and single hung windows. Double hung windows allow you to move both sashes in the window frame up and down. On the other hand, single hung windows only allow you to move the bottom one, while the top sash remains fixed in place. For decades, single hung windows have been a popular choice in apartment and office buildings. This is largely due to their lower price. In general, single hung windows can be as much as 75% cheaper than their double hung window counterparts . It’s also argued that single hung windows are less likely to allow air infiltration because the upper sash is fixed in place. It is almost impossible to develop any looseness that may occur over time with a moving sash. However, because of the low price point, single hung windows are often made with thinner vinyl and insulated glass units. Thus, the air infiltration benefits are overshadowed by reduced energy efficiency. While the low price often makes single hung windows a favorite among anyone looking for a bargain, there are several key differences that make double hung windows standout. With only the bottom sash opening, single hung windows offer very limited ventilation. This may not seem like a big issue but slightly raising the bottom sash and lowering the top sash will create natural circulation. In some rooms, such as your bathroom, it is beneficial. In this high moisture room, the two openings provide some relief from the humidity, along with the control of odor and mildew growth. Cleaning single hung windows can be hard, especially if your windows that are located well off the ground. This is because the top sash won’t open, meaning the outside of the window must be cleaned from the outside. In most cases, this may require the use of special equipment or hiring someone to do it for you. Thanks to both sashes opening and being able to tilt in, double hung windows are much easier and more convenient to clean. Families with smaller children will likely appreciate the added safety that comes with double hung windows. Instead of having to open the lower sash, which some children could potentially climb or fall out of, you can simply open the upper sash to allow for airflow. This allows for ventilation but makes it much more difficult for the child to reach. In the event a single hung window breaks, a professional will have to come in to fit and install the new window. This usually results in materials and labor charges. However, if the upper sash of a double hung window is broken, it is possible for the homeowner to replace it. There is often no cost if the window is under warranty because the manufacturer simply sends a new sash. Which Window is Right for You? 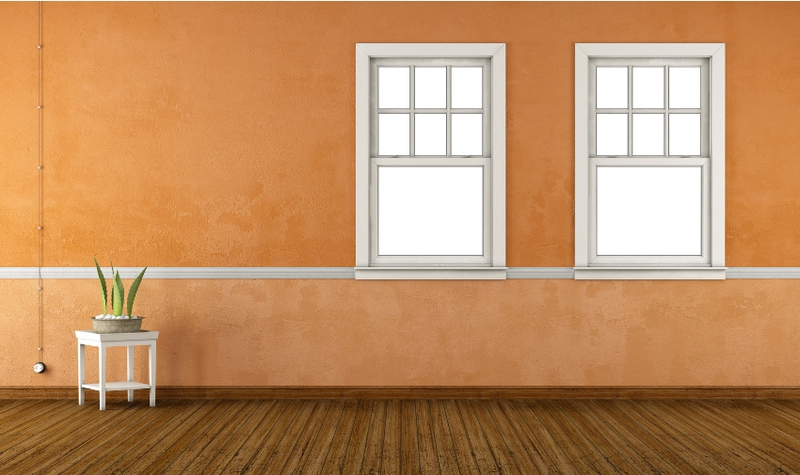 There are many big differences between single hung and double hung windows. Most homeowners decide that a double hung provides the best value for their money. It’s up to you to choose which one best meets your needs. Contact us to get a free quote for your house.